Hello Edmund, so when did you first develop a passion for theatre? I have loved acting since I was at school. The first play I was in, when I was 9 or 10 years old, was Andre Obey’s “Noah”. I played The Man, someone who told Noah that he was talking nonsense & there wouldn’t be a flood. It was a small part: he drowned! I went on acting throughout my school days, playing Captain Cat in “Under Milk Wood” when I was about 13 – a wonderful play & a wonderful part! I then acted at Cambridge. While I was there, I also ran a Children’s workshop for 2 years. We produced 2 totally improvised shows acted by children aged from 8 to 16. I will never forget them or their performances in “The Children’s Crusade” by Brecht & “The Odyssey”. I did a History degree at Cambridge and then, a few years later aged 25, trained at LAMDA. Strangely I was on a one year course for overseas students, although I’m British. But it worked out well because I got out into the business quicker and anyway some of the lessons from LAMDA didn’t sink in until 5 or 10 years later. I always was a bit slow! But I hope I am still learning today, more than 40 years later. At this time of year it would be watching England beat Wales in the 6 Nations. Not this year sadly! You’re performing at this year’s Brighton Fringe, what do you think of that seagirt city? I don’t really know Brighton well, although I worked there for a week last autumn making a short film, which I enjoyed. We found a very nice Italian restaurant near our digs! 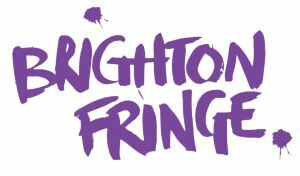 I am looking forward to getting to know Brighton better and especially being part of the Fringe scene. It sounds exciting – even if many of the other performers at the same venue look young enough to be my grandchildren! Can you tell us about the play? Hemingway is trying to find the courage to commit suicide. It’s very early in the morning and he has to do it before his wife (his 4th) wakes up & stops him. He hasn’t written anything worth reading for 9 years; and he believes he never will again because doctors treated him with electric shock therapy and, as he puts it, “destroyed your only asset as a writer, your memory”. As he fights his last and loneliest battle, he remembers his past – his wives, his children, the things he’s ashamed of &, most important of all, his father. Can he die like a man? Do you identify with Mr Hemingway in any way? It would be presumptuous, I think. He was a great writer though a flawed man. Perhaps I identify with the flaws & with his attempts to be honest with himself about them (with limited success)? In many ways he was not a nice man: he behaved appallingly to women for instance; the nastier they are, the more fun they are to play! Hemingway wanted to “write one true sentence”; as an actor I aspire to speak one true line. I can identify with him that far. Can you tell us about the play’s radical German creator, Rolf Hochhuth? I was lucky enough to meet Rolf Hochhuth in Berlin in 2017. He is one of Germany’s most significant and controversial living playwrights; he lives in a flat in the centre of the city, with a view down onto Berlin’s Memorial to the Holocaust. He signed a copy for me of his most famous play “Soldiers” with the inscription “Thank you to Mr Edmund Dehn, who will play my Hemingway in London”. It is a treasured possession. This is not your first Hochhuth portrayal, can you tell us about the others & why they resonate so much with you? While I have never played in “Soldiers”, I have also appeared in Hochhuth’s “The Representative”, which accuses Pope Pius XII of conniving with the Holocaust in return for Hitler protecting Europe from the (Godless!) Communists. In 2014, I also appeared in “Summer 14: A Dance of Death”, Hochhuth’s play about the causes of World War I from a German point of view. Both of these were also at the Finborough, where we premiered “Death of a Hunter”. I love the fact that they are big plays addressing big issues: their scope is Shakespearean. “The Representative” was 3 & a half hours long and my last appearance was as a Jewish grandfather on his way to a gas oven. By the time the curtain came down, the pubs were closed! So, after our last scenes but before the curtain call, you could have seen me & 2 other actors, one who played the Pope, still in the full white Papal costume, complete with skull cap, drinking beer from cans outside the back door of the Finborough. Sadly none of us took a photograph! How is director Anthony Shrubshall handling everything? As yet, we have not started rehearsing – or re-rehearsing. We originally opened in Berlin before our UK premier in April 2018. Berlin was a ‘pros arch’ venue while at the Finborough we played in traverse, with audience on 2 sides, which is challenging for a 1 Man Show! In Brighton we will again be in ‘pros arch’, which will entail re-imagining the show. But that is what I like most about working with Anthony: he is never content simply to ‘warm up’, or rehash, an old production; we will, I know, be starting afresh. He has already told me that there’s more to find and that I can do better! I can’t wait to find out what new torments (make that ‘challenges’!) he has in store. He never seems to run out of ideas & he keeps me on my toes. Who could ask for more?! What emotive responses do you expect from the audience? In terms of “emotive”, Hemingway was, by current standards, pretty politically incorrect, so some people may find him challenging company (albeit for only 55 minutes)! But the play also explores the all-too-human side of this iconic literary figure, hopefully opening up more conversations around mental illness and male suicide in the process. Fundamentally however, I hope the audience enjoys the play, and that they are moved by it. You’ve got 20 seconds to sell the show to somebody in the streets of Brighton, what would you say? Unable to write anymore, Ernest Hemingway fights his last and loneliest battle as he tries to find the courage to commit suicide. He confronts his demons, questions old certainties and comes face to face with the ghosts of his past… Clinically, precisely, harrowingly and in real time, radical German playwright Rolf Hochhuth explores the final hour in the life of an American icon, examining the cult of celebrity, the trappings of fame and “the ultimate futility with which we are all cursed and ‘blessed’”. I wish I knew! Ah, the actor’s life!! !